This was a recent Quora question and it keeps puzzling me. Is reality subjective or objective? If it is subjective is every interpretation of it correct? It is not that difficult to reject this question as what it is: an assumption supported by an argument that has not really been thought through: Why should reality be subjective? And why should that make all our interpretations right? Reality is neither “subjective” nor “objective”. Statements can be, and people who make these statements may be labelled as more or less subjective or objective. This is the image of a real table (I guess they would not sell it for the sum of €4,280.84 if it was not real). Now, what will be the test to find out whether this table is objective or more subjective? What would a “subjective table” do – and an “objective table” never ever do under the same circumstances? You buy a liter of milk with the funny feeling that this beverage carton is strangely light. At home you measure the content and it is only 875 ml, not the defined liter of 1000 ml. But how can I know whether you see things with my eyes? I don’t. We are talking here about statements and their verification. You know what is the case if this table has a height of 27 inches or 69 centimeters. 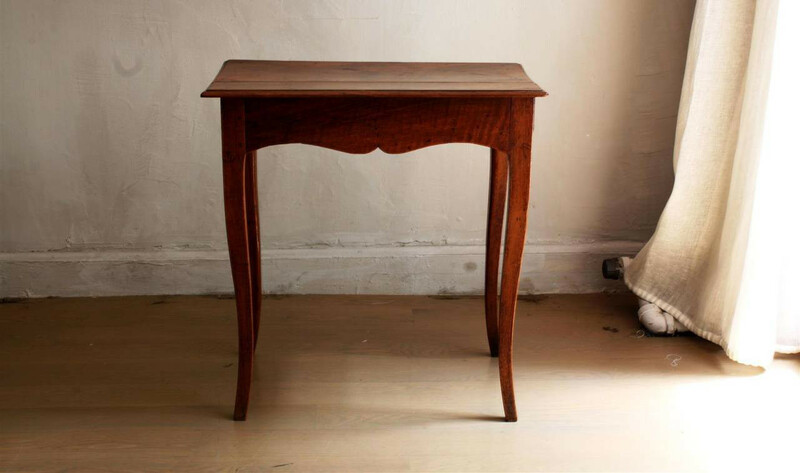 You know what a dendrochronological expertise would tell you if this table were produced in the late 18th century in France of walnut wood. The measures of the table can be right or wrong. The reasons why they might be wrong can be banal: a misreading of the yardstick, a copying mistake, a fraudulent interest to let it appear bigger than it is. The falsification of a subjective statement has other dimensions. You say you “like this table subjectively” whilst you find it rather repulsive – a (polite) lie if you are eager to support me in my delight. Other subjective sensations are wrong because they fool our visual apparatus and again others are wrong since our nerves are designed to mislead us (touch someone with the tips of two pencils an inch apart anywhere between his shoulders and ask him or her how many tips he or she is feeling – “just one” will be the usual answer since too many nerves are running here in channels that merge the separate sensations). If the shopkeeper says this is his “subjective liter” or his “subjective count of twenty items”, you will call this declaration evasive. We have a consensus of how we count to twenty. You will insist on the “objective” measure and the ensuing debate will be about all further legal procedures that will bring the objective view of experts into this conflict. You enter a room and admire the architecture as “light, liberating, pleasant”. People around you are wondering how you can say this. 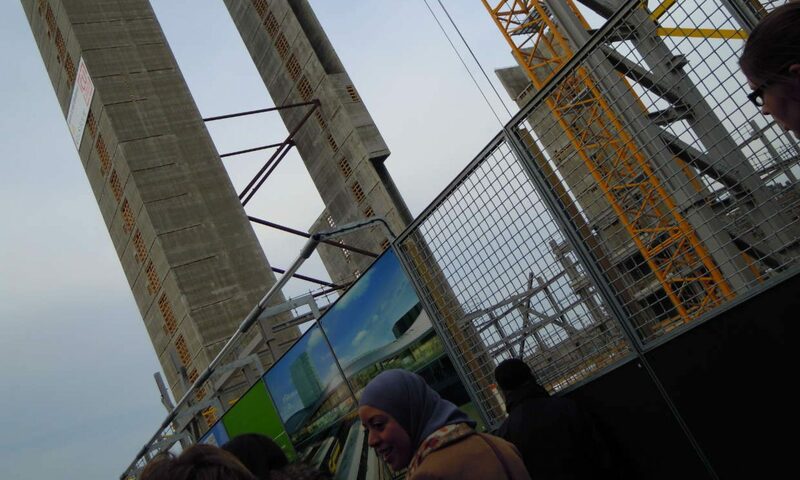 This is “brutalist architecture” in their eyes. You may add that this is your “subjective view” in order to gain control over the ensuing debate. Once you have called it your “subjective perception” you can speak about your past, about other houses that gave you a similar feeling, about architectural details that give you such a feeling. The new debate will be to some extent about the object but more so about what it does with you, personally and maybe with nobody else. allow subjective statements since subjects will defend individual perceptions beyond that as simply their personal perceptions. The very word objectivity is rather new. The OED has thus far note its first English usage in an Edinburgh Review article of 1803. A first French usage is noted with an 1801 source. Lorraine Daston and Peter Galison wrote that wonderful book on objectivity that gave us insight into the puzzling cultural evolution of the concept with all its irreconcilable paradoxes. 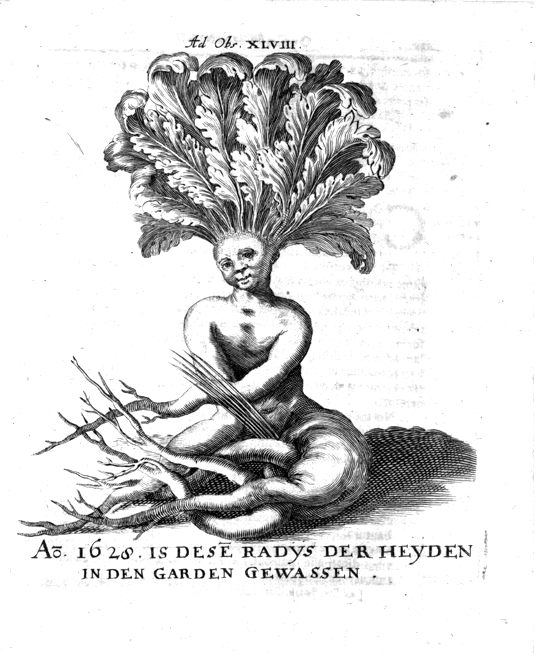 This is a 1670 reproduction of a 1624 painting of a radish from the Miscellanea Curiosa, the first German medical journal (see Fabian Krämer’s “Faktoid und Fallgeschichte: Medizinische Fallgeschichten im Lichte frühneuzeitlicher Lese- und Aufzeichnungstechniken”, in: Die Sachen der Aufklärung, Hamburg 2012 for more information on the image). We will immediately doubt its objectivity. 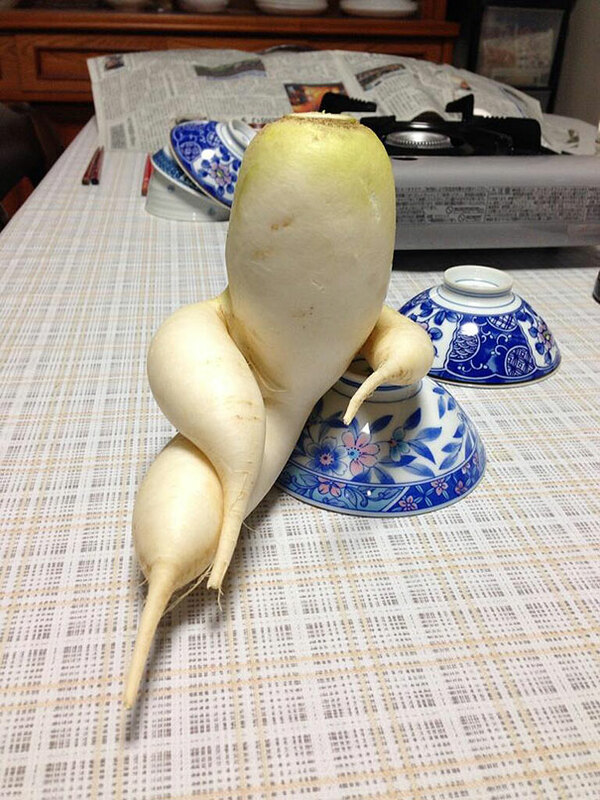 Odd radishes do exist. But the way this radish is looking at us betrays a secret yearning (on the side of the painter or the engraver) to be the object of this charmingly female sight. This is just no image a camera would have taken. This, however, should be an objective picture of a similar radish – of a radish humans will perceive as somehow humane. Cameras show what is to be seen at a defined moment in history from a certain – objective – vantage point. We would still not use this image in the Wikipedia ‘Daikon’ article, since we would feel that the encyclopaedia should offer “a more objective image”, and here we are all of a sudden in the middle of cultural conventions. 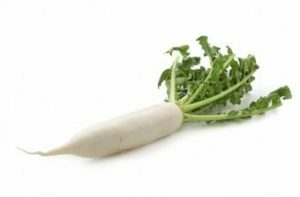 The objective image of a radish is one that helps us to identify almost any radish as a specimen. The objective image should depict a “normal” radish for that purpose. We are looking for something like a Platonic or Kantian image, an image of the object as it is when it is not influenced by other factors and rarer twists. But what exactly is the image of the radish as it “naturally” is? – as it is without individualising aspects… It will need some individualising aspects to appear real. We will rule out the polished geometrical shape since we will never find a radish without any spots or irregularities… If we have 20 pictures of 20 different radishes and ask 20 people to pick their image of the “typical” radish, they will offer us a dozen of different personal choices of the normality they are experiencing. Our notions of objectivity are eventually influenced by the technical means we have at our fingertips to create this objectivity – so Lorraine Daston and Peter Galison: It is naturally difficult to draw an objective image of a drop splashing. The splash happens in a milliseconds. Researchers gave, so the later realisation, highly subjective views of what they thought they had seen, as long as they had to depict the image they “remembered”. The first camera images ended this subjectivity. The question was now: what is the objective image among hundreds of different splashes? One that is neither too regular nor too irregular? Reality is neither objective nor subjective. Our depictions of reality will be either or. Our perceptions of reality are indeed almost by definition subjective – that, however, does not mean that our statements have to be entirely subjective, nor does it say anything about the “correctness” of our interpretations. You are standing on top of Petrarch’s Mont Ventoux in the Pyrenees. The sun is rising in the east and setting in the west, you see it moving across the sky as the day passes. Earth, so your perception, is stable, unmovable in the centre of the universe; the sun is – apparently – moving on a predictable course. This is a subjective interpretation and we know it is wrong. We are observing the solar system from a rotating planet – verified with Foucault’s 19th century experiment. Being part of the planet’s rotation we can no longer sense it. It is proven then, that subjective perceptions and all our interpretations of these perceptions can be wrong. We can prove an interpretation to be erroneous, faulty, and imprecise, a lie. The thing we cannot do, is prove that an interpretation is actually correct. We operated with the geocentric world view with all the success we needed for thousands of years. the subjective interpretation allowed precise predictions of solar eclipses. We were using maps of our planet assuming that we were living on a plate – and yet we were reaching our destinations as predicted. Our proofs of theories show us that they do the required job, in our lives and in the experiments we are conducting as proofs. Our interpretations and theories are nonetheless doomed to be only historical victories – so our experience thus far, and so the 19th-century realisation of the philosopher. 9 | But the original question did not sound all that wrong – did it? That is eventually the intriguing thing to explain (in a different post).